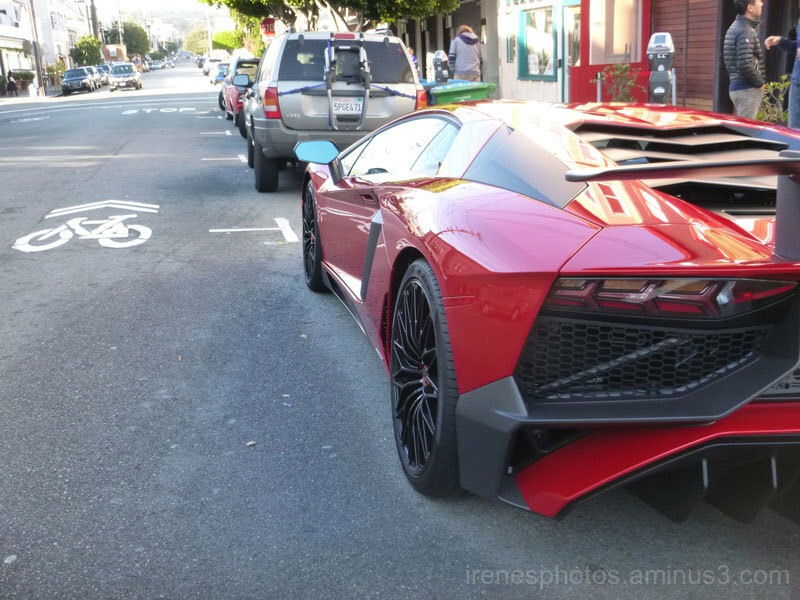 Irene (San Francisco, United States) on 5 December 2016 in Transportation and Portfolio. Ah, yes, I know people with toys like these ! @Wayra: No, it's not even my car either. Wow! What a car :) I can feel the power from this image :) great angle. Groovy wheels, and I like this composition to give space also to the bike lane. A nifty symbolism. Slick design of this iconic car!